A vibrant painting by Jan Gordon, made in London, probably in the mid 1920s to early 1930s, shows a daffodil seller in a bustling street. A lady sits next to her stepped display of daffodils, the flowers being held in four vases to a row. A man strides past with a box on his shoulder and other hat-bearing ladies and gentlemen walk along the street or stop to chat. Admiring the daffodils is a smart lady with her daughter and younger son, the latter wearing a sailor's uniform. There's nothing to prove it, but this trio is very reminiscent of Doris, Pamela and Denis (W.D.A.) Smith, friends of Jan and Cora Gordon since WW1 days. Perhaps the partially obscured "SMITH & Co" above the shop door on the other side of the street supports this notion. 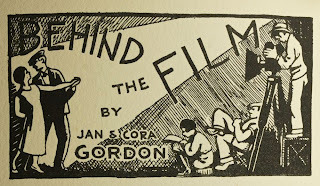 When Jan Gordon, one half of the talented artistic double act of Jan and Cora Gordon, died in 1944, Cora ("Jo") took over his duties in writing the "London Commentary" section of the Studio Magazine. I'm looking at her contribution to the April 1949 issue, written the year before she died and five years after the death of her husband. She begins by contrasting the 1948 shows with those given before the war, praising "a sequence of well-planned collections" presented in the "galleries of the state". She continues with a review of exhibitions in both state and private galleries, illustrating works by Barbara Hepworth, Henri Gaudier-Brzeska, Helen Holderness, Edwin Le Bas and Paul Vezelay. Oil and pencil by Barbara Hepworth, 1947. Cora herself was a versatile artist, well known for spontaneous pen sketches and beautifully composed paintings, some of which were used by her husband to illustrate articles in the art magazine "Colour". 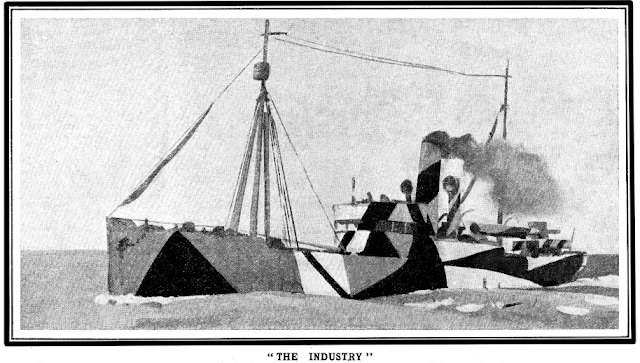 Following my post in February 2013 on Jan Gordon's involvement in the design of dazzle patterns for WW1 ships, there have been some interesting new developments. 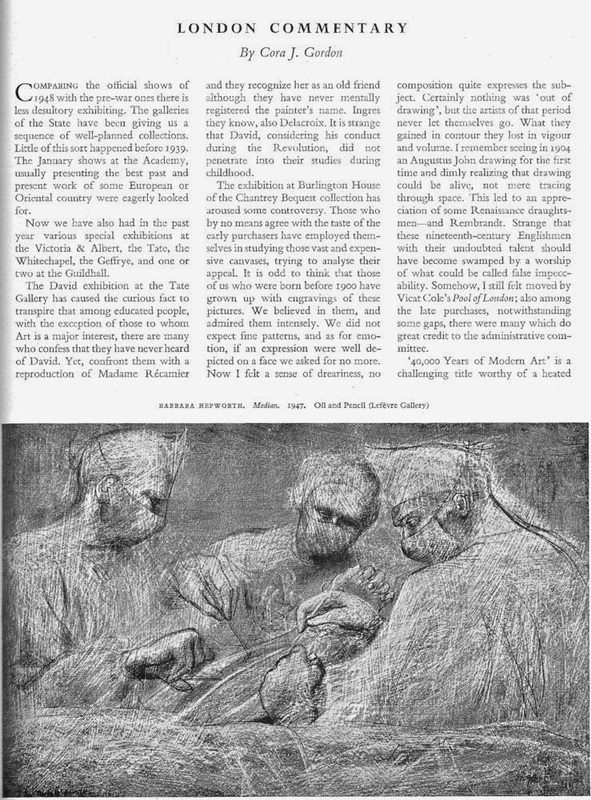 Firstly, the BBC presented "How did an artist help Britain fight the war at sea" by Sam Willis and secondly, Roy Behrens posted on Jan Gordon's 1918 article in "Land & Water." Jan Gordon's article elaborates on the distinction between camouflage designed to make an object blend in with its background and dazzle designed to confuse an attacker: " and so the word camouflage, with its associations, has been dropped in favour of the more appropriate word "dazzle-painting"". I illustrated this distinction in the February 2013 article by contrasting the daily camouflage activities of my pet cuttlefish ("Ramses") with the startling black and white "deimatic" patterns displayed during an escape from a perceived threat. Artists Jan and Cora Gordon were friends of my grandparents during WW1 and would visit them for summer holidays at their cottage in Itchenor. The Gordons also visited their house, Mesylls, near Chiddingfold, Surrey (the Smiths moved here in the first half of 1918) and made drawings and paintings of the two children of Doris and Ashley Smith. According to the dedication in Jan Gordon's book "Modern French Painters" it was under this "hospitable roof" that the manuscript was begun. 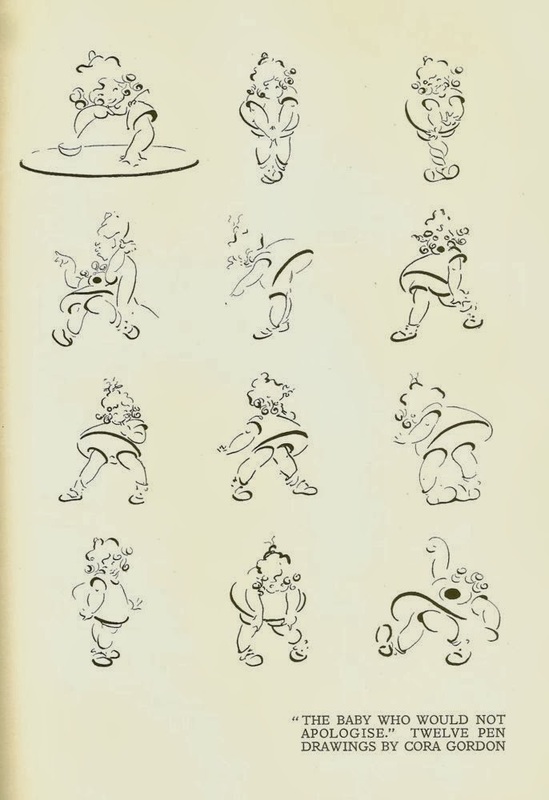 A selection of twelve pen sketches (a favourite medium of Cora Gordon) of a mischievous Pamela Smith (my aunt) were reproduced in the Studio Magazine, September 1919, with the caption "THE BABY WHO WOULD NOT APOLOGISE." On January 19th 2014 I arrived home from a trip to Malaysia to find a 1923 volume of Blackwood's Magazine waiting for me, in whichJan Gordonremembers his early Malaysian tin mining experiences. The title of the piece is "An Experiment in Adventure". The story begins with him (under assumed name "William") peeling off old labels from a sea cabin trunk in order to use it as a seat for a party. The very last label to be removed dates from his early voyage to Malaysia to begin his career as a mining engineer. He then begins to reflect on that journey: "He had not given it a thought for how many years? Sixteen or so." Lady Ottoline Morrellwas a celebrated patron of the arts and society hostess who lived from 1873 to 1938. She was a contemporary ofJan and Cora Gordon, a well known pair of artists, writers and musicians. Her residence at 44 Bedford Square, Bloomsbury, London served as a salon for friends, including many authors, poets, artists and sculptors, some of them members of the "Bloomsbury Group". Members of this group were also invited to weekend retreats at the Morrells' Garsington Manor near Oxford. 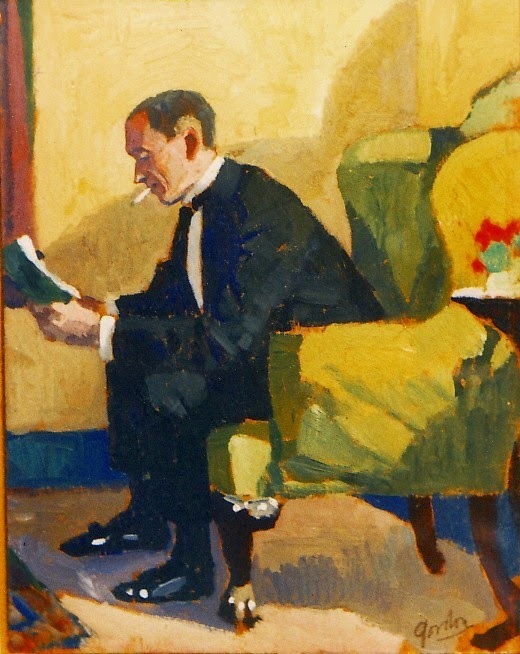 Ottoline Morrell had a copy of "Poor Folk in Spain" (1922) by Jan and Cora Gordon in her library. 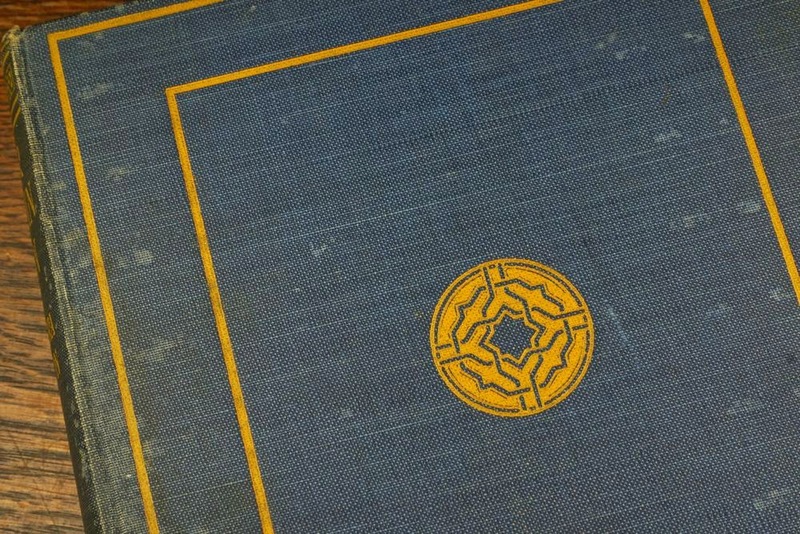 The book bears her signature inside the front cover. 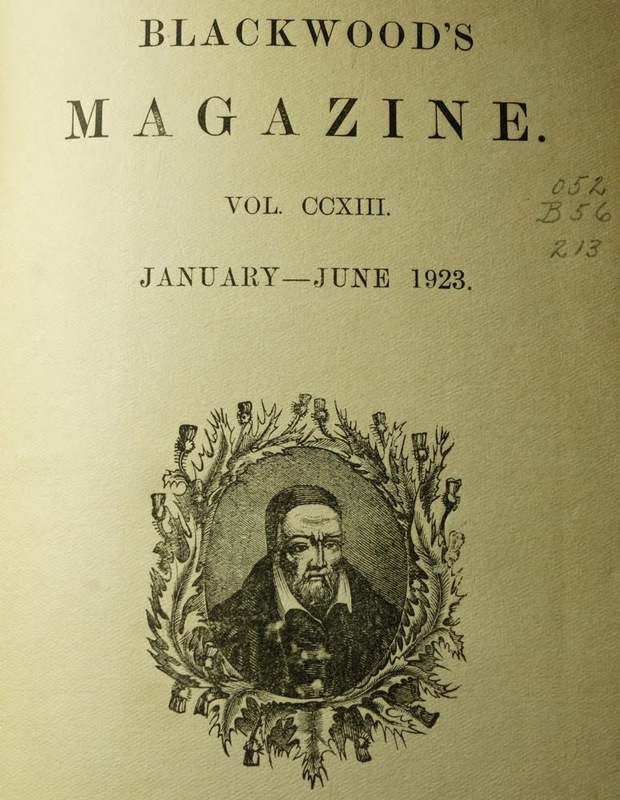 Jan Gordon as William Gore: "There's Death in the Churchyard"
The output of books by Jan and Cora Gordon between 1916 and 1944 was prolific, including travel books, books on art and a series of short stories and novels. 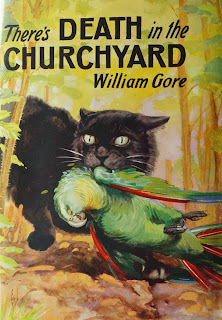 Three crime novels by Jan Gordon were published under the name of William Gore and the first of these was “There’s Death in the Churchyard” (1934), now a very rare book indeed. The novel contains several semi-biographical references to the art world and the experiences of Jan and Cora Gordon during and after the First World War. There are also several allusions to changing societal conditions following the war. The character "Belle" in the book had studied at the Slade School of Art in London, as did Cora (“Jo”) Gordon. ".. she had nevertheless retained many of the faculties which the art course develops, notably a habit of unconscious observation." This ability proves useful in the solving of the crime. They go on to describe the process of film-making and the “self-hypnotism” of the actors, informed by their visit to Hollywood seven or so years earlier. The full story of that journey was published in 1930 as “Star-Dust in Hollywood” and began with Jan Gordon recuperating in a Los Angeles house. When I visited Los Angeles in April 2012 I found that many of their observations still resonate today, eighty five years later. 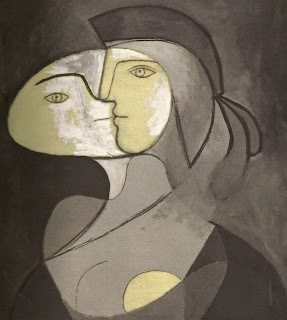 In March 2013 we visited the Picasso Black and White exhibition at the Museum of Fine Arts Houston. The range of styles on show was remarkable, from coolly classical to astonishingly abstract. "Head of a Man" 1908 looks like a Fang Ngil maskfrom Gabon. The several studies for “Guernica” reminded me of a visit to that town in 1994 (studying the nearby geology), looking quiet and peaceful on a sunny day and giving no hint of the Luftwaffe's horrific bombing in 1937. 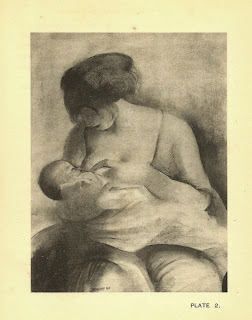 Jan and Cora Gordon were contemporaries of Picasso in Paris and Jan Gordon wrote about him in “Modern French Painters” (1923 and later editions), a volume dedicated to my grandparents. 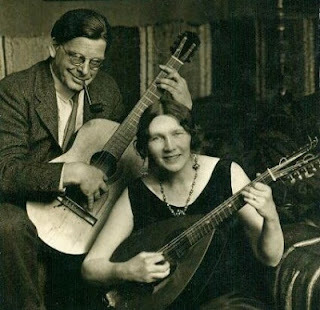 I was thinking today about what an interesting couple Jan and Cora Gordon were. From their marriage in 1909 to Jan’s death in 1944 the output of paintings, drawings, etchings, books, magazine articles and concerts seems remarkable. For a way in to their world of travels, art and music visit these pages: Art of Jan and Cora Gordon. 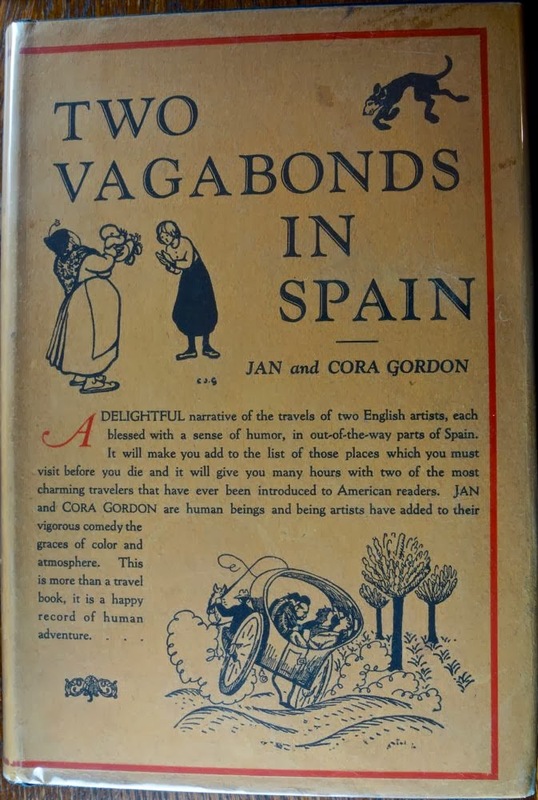 Jan and Cora Gordon wrote many books on their travel experiences between 1915 and 1933 and Jan wrote a number of novels and also books on art (an overview can be found in Jan and Cora Gordon Books). 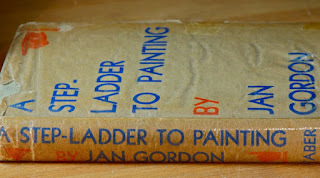 I have read one of these books, "A Step-ladder to Painting", several times (though not for many years), with the idea of learning something about composition (which would also come in handy for photography). I remember being particularly interested in the discussion of the importance of memory. For example (pg 225), ".. during our trip to Spain all our sketch books and notes were stolen on the railway. Yet we were able to reconstruct Poor Folk in Spain with text and drawings almost entirely from memory, and the book was accepted as accurate even by Spanish critics." 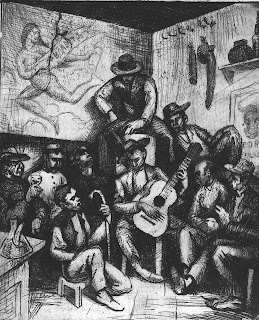 Their memories were not quite as accurate as claimed though and they remembered D. Antonio Gimenez, the Vera guitar-maker, as Don Gomez Fuentes. As a youth I would hear stories about Jan Gordon and his guitars, for example one about a border crossing at which the customs officer charged duty on a cheap new guitar and nothing on an old and valuable instrument. The story deepened for me on reading "Poor Folk in Spain" and "Misadventures with a Donkey in Spain"; and then even further, in the summer of 2009, when we followed in the footsteps of Jan and Cora Gordon with their donkey, Colonel Geraldine, on the second of their Spanish journeys. Both Jan and Cora made some fine paintings, drawings and etchings during and after this journey, such as this one by Cora and this by Jan (the favourite picture of "Telephones" on their return to London in 1931). Perhaps my favourite of their Spanish works is the etching shown below. Paco, the chief of police, plays guitar at José’s in Puerto Lumbreras.